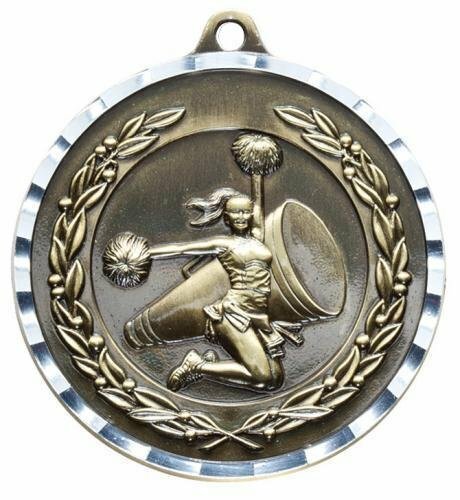 Recognize the Cheerleaders that cheer on those players from the sidelines with a Medal just for them! 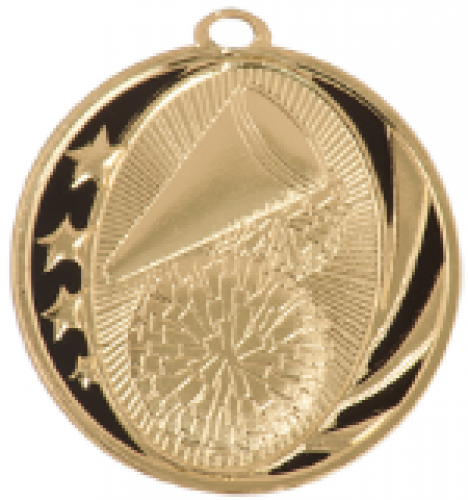 The MidNite Star series comes in 2" diameter medallion size, available in Brite Gold. 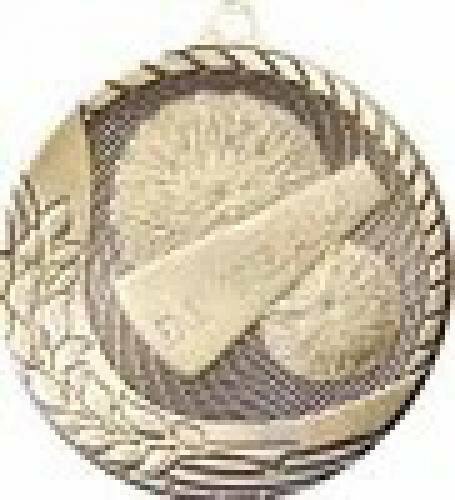 .Engraving on each medallion personalized on the backside for and additional charge. 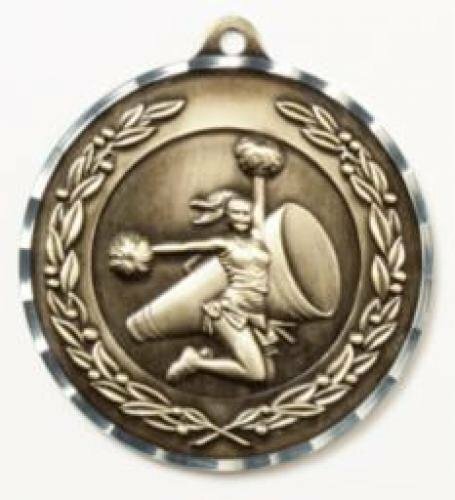 Medallions come with your choice of a neck ribbon (Metallic Neck Ribbons are extra) or a pin drape ribbon . 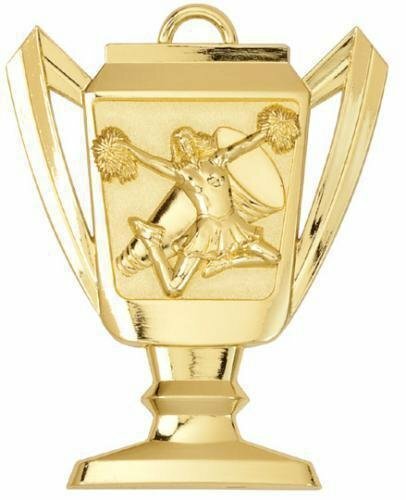 Choose your ribbon when you add your choice of medallion to the shopping cart.